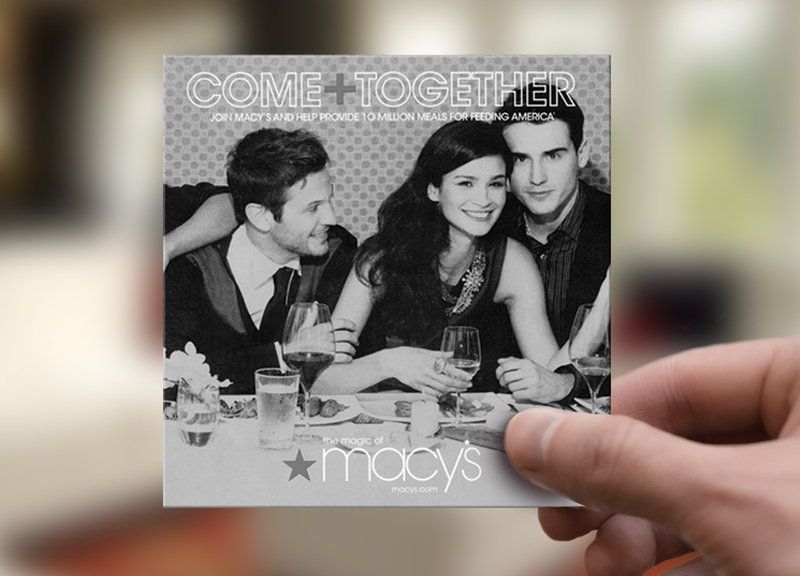 When Macy's® was looking to increase brand loyalty, they chose to create a unique cause marketing campaign that aligned with their customers' philanthropic interests. Partnering with the charity _Feeding Americaî, Macy's created the program Come+Together with the goal to provide 10 million meals to those in need. Customers were petitioned to donate $1.00 to Feeding America. 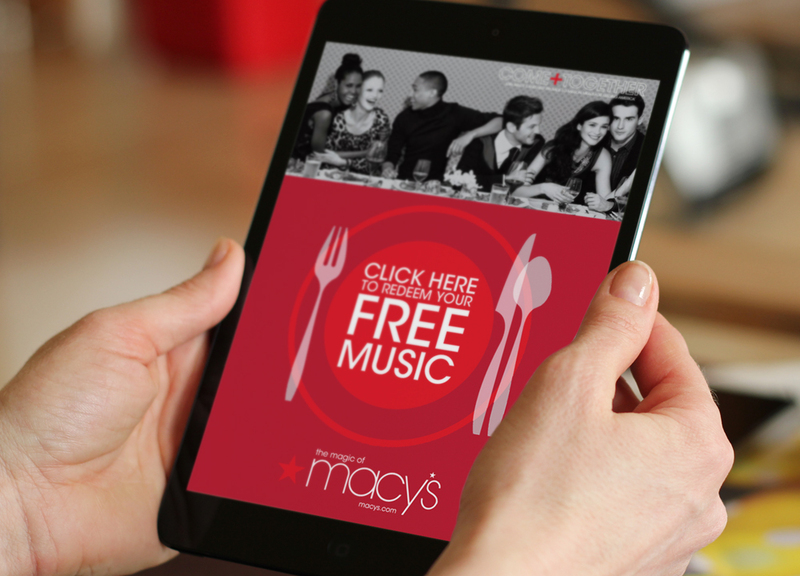 As a reward for their loyalty and generosity, customers received a gift of an Incentive Booklet containing prizes, coupons and a Reward Code for 3 FREE Music Downloads. Using incentive booklets to reward their customers, Macy's built customer loyalty and enhanced their position as a philanthropic brand. Offering reward codes for universally appealing prizes, such as music, is an easy and flexible solution for completing any action.